Rubenerd: Google +1 buttons here as well? Google +1 buttons here as well? 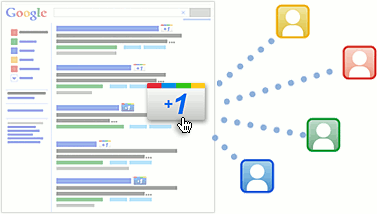 With the launch of their Google+ social network, Google have now allowed webmasters to have the +1 buttons on their pages. Should I use them? Aside from having pages ranked with these buttons appearing on their new Google+ profiles, it's clear Google plans to use these to influence their search results. The potential ethical dilemma this introduces is for another post. Given these +1 buttons are appearing in all their search results, would it make much practical difference allowing you to click here too? Either way, it's an optional process you're entering into, I'd just be making it a bit easier to share on sites such as Google+.